Heating Repair Jones Archives - A.I.R. Plus Inc. Check out the link below. Heating and Cooling your home accounts for 41% of your total energy bill. 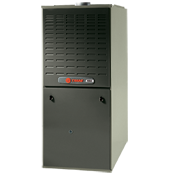 Water Heaters add and additional 12% for a total of 53% of your total energy usage. Very interesting information for those that are interested in saving money and energy. Semi-annual inspections of your heating and cooling system(s) can save you money on energy consumption and on repair cost for your HVAC equipment. And don’t forget to change your air filters, dirty air filters make your heating and cooling systems work harder!